Turkey is the pièce de résistance of the Thanksgiving dinner. 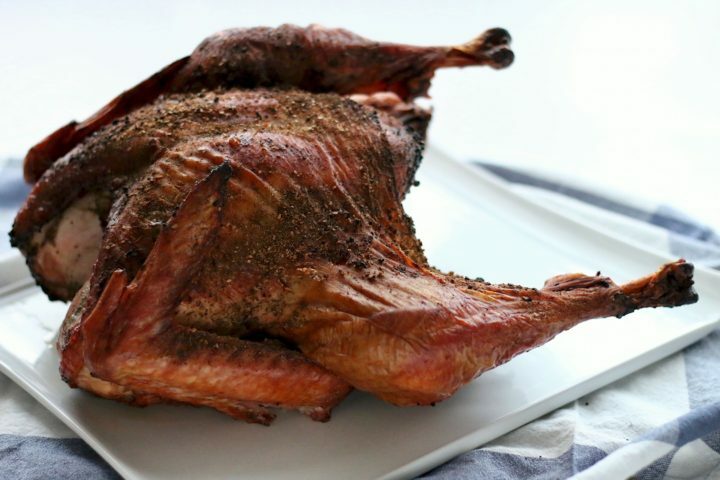 Give your guests something special this year by grilling the bird. 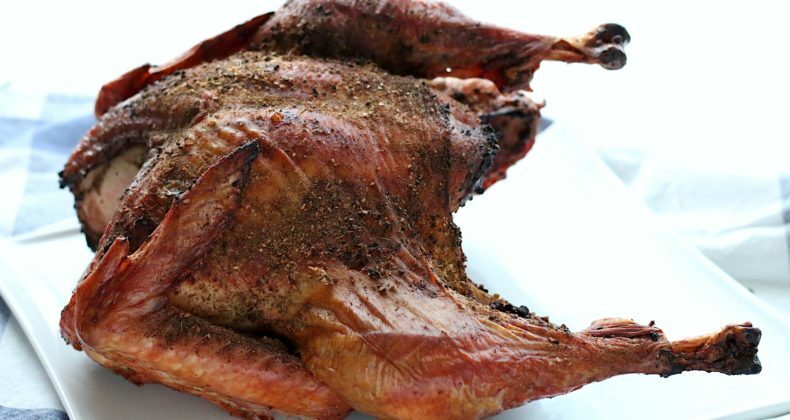 Does the idea of grilling an entire turkey cause you anxiety? Let me be the first to admit when I thought about doing it I was incredibly intimidated. A 14-pound turkey is by far the largest piece of the meat I have grilled and I was concerned about overdoing it and it being dried out. 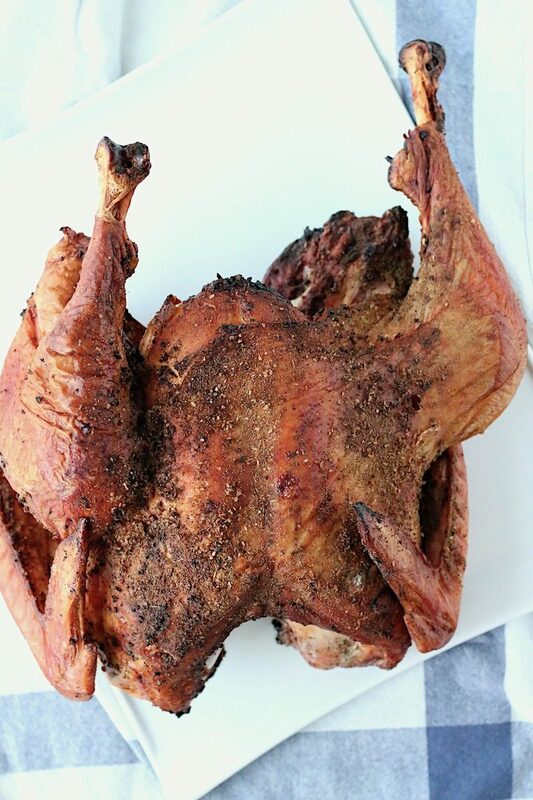 In the last month, I have grilled TWO turkeys and they both turned out juicy and full of flavor. Yay me! How did I do it? I cut out the backbone, spatchcock style, and pressed the breast bone flat. I fired up my charcoal grill stacking the hot coals on one-third to half of the grill. Then cook the turkey over indirect heat for about 90 minutes to two hours. The seasoning I kept incredibly simple and just used Kirkland No Salt Seasoning and Kosher salt -I know, I know 😉 I also used charcoal briquettes with mesquite providing an added delicious flavor. How are you cooking the turkey this year? My brother in law always grills a whole turkey. I agree it does seem intimidating but always comes out wonderful!